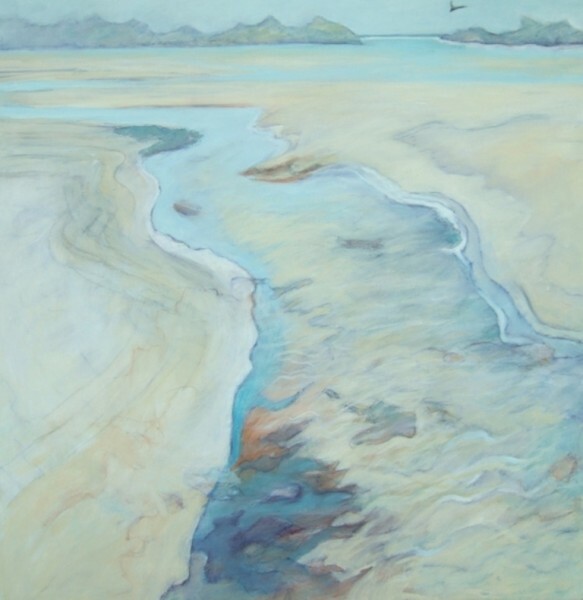 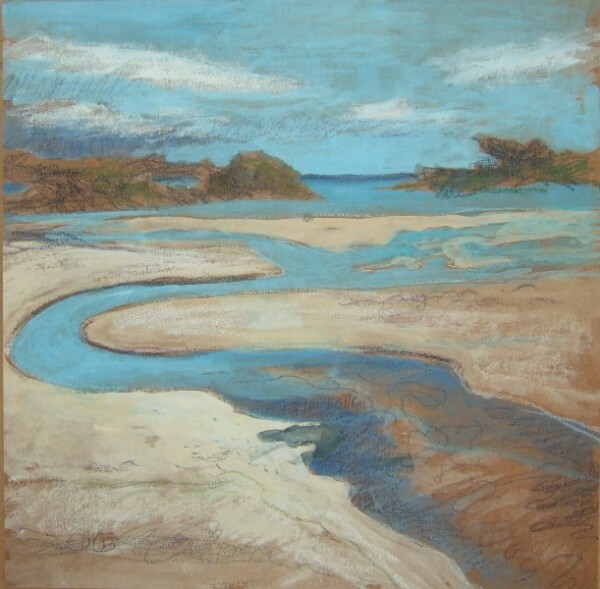 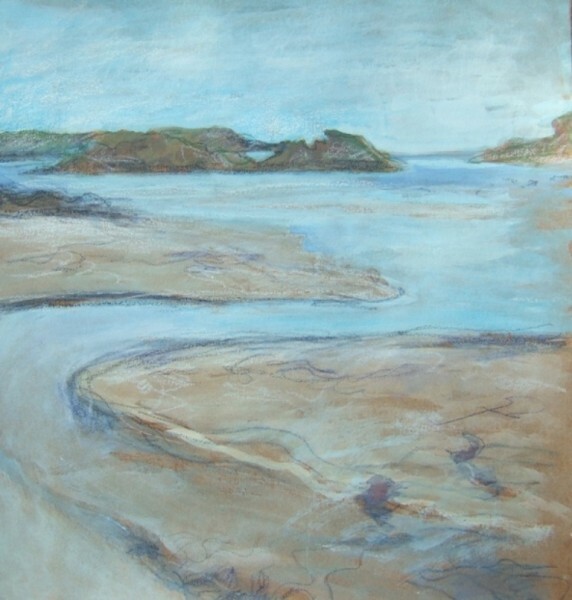 One of my paintings inspired by a visit to the Island of Gigha off the West Coast of Scotland. 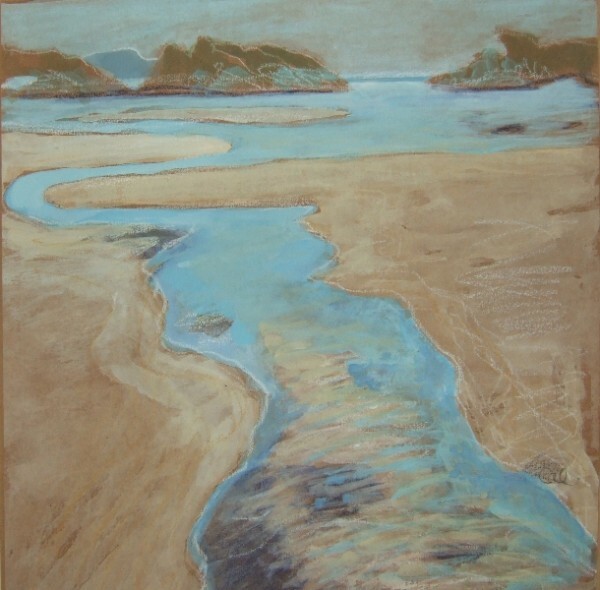 I was fascinated by the streams flowing across the sand out into the Atlantic. 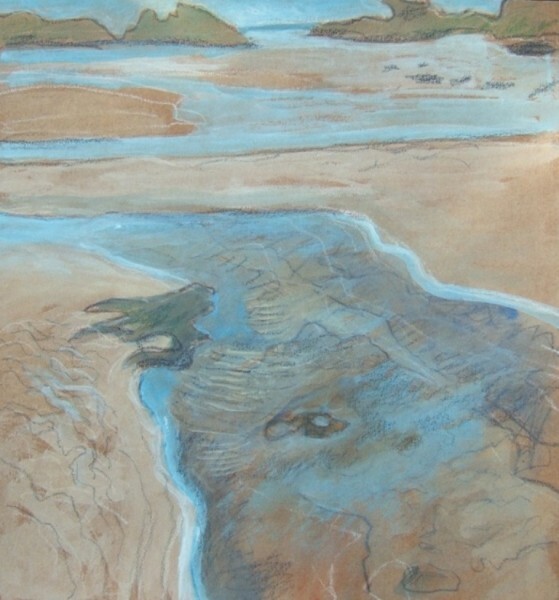 see above: sketchbook studies in watercolour and white gouache.